With the collapse of Lewis’s and Robbs owner Vergo Retail being one of the year’s major stories at Soult’s Retail View, it seems fitting to mark the festive season with a warming good news story that has emerged from the retailer’s ashes. 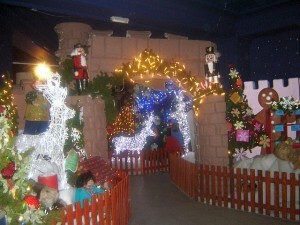 For 130 years, generations of locals had visited Santa in his magical grotto at Lewis’s department store in Liverpool, but it seemed that the institution of Lewis’s Grotto would end with the closure of the store that housed it. However, in a Wellworths– and Hope-type move, the former Lewis’s Grotto manager Mike Done bought the grotto when the store closed in May of this year. 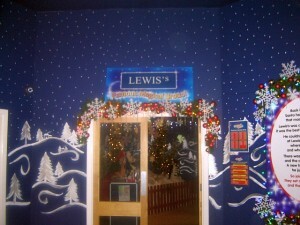 As a result, Lewis’s Grotto was able to reopen last month in its new home – the Rapid department store in Williamson Square, housed on the fourth floor of the old George Henry Lee building that John Lewis vacated following its 2008 move to the new Liverpool One development. 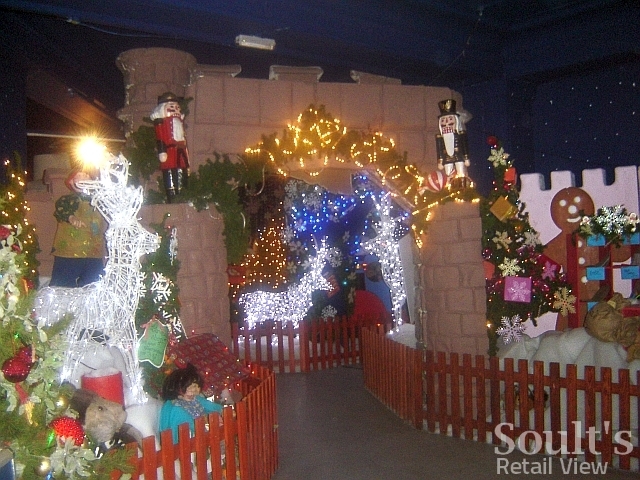 Lewis’s Grotto is believed to be the oldest Santa’s grotto in the world, having been founded by David Lewis in his Liverpool department store in 1879. 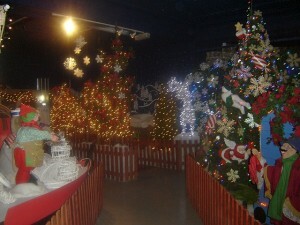 The first grotto was called the Christmas Fairyland, reportedly inspired by the art exhibitions held at Paris’s Le Bon Marché department store. David Lewis saw such exhibits as a way of drawing people in to his store, with the basement apparently filled with water and gondolas to create a ‘mini Venice’. 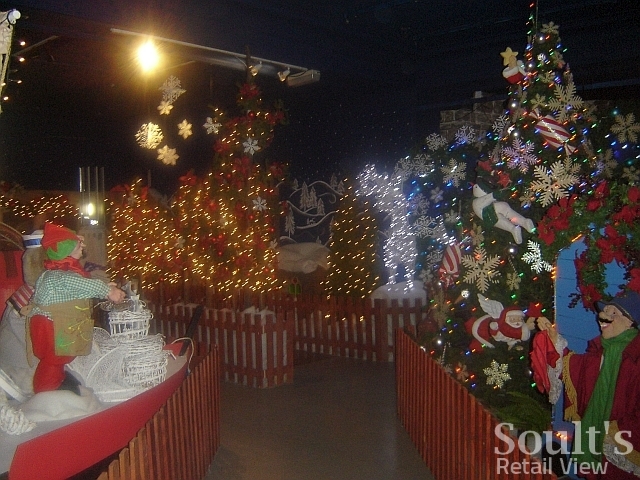 Fast forward to 2010 and today’s grotto is just as ambitious in its own way, covering around 7,000 sq ft, and featuring 100 animations and about 80,000 twinkling lights – all created by the reunited in-house display and marketing teams from the closed-down Lewis’s. 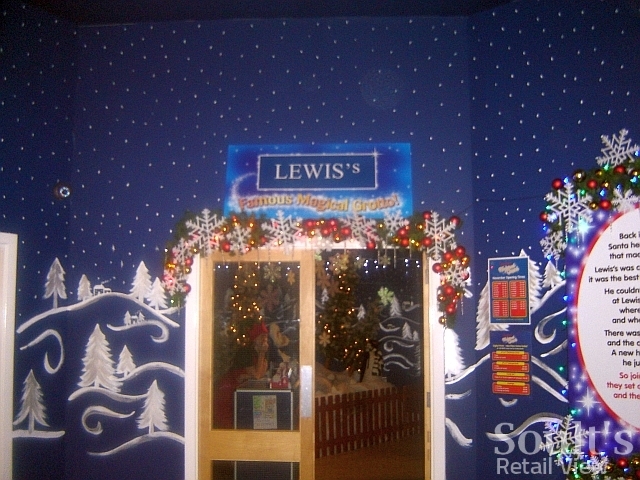 Lewis’s may have closed its doors for good, but it’s positive that at least one piece of the store’s heritage is set to live on in Liverpool in future years – and just like Lewis’s Grotto, Soult’s Retail View is looking forward to coming back in 2011. In the meantime, thank you to everyone who has read, commented or otherwise contributed to this blog over the last twelve months – and Merry Christmas! Thank you to Lewis’s enthusiast and former employee Ben Selwood for supplying the information and photographs used in this post.